Rugged LTE device maker and mission-critical solutions provider Sonim Technologies today announced that the company has filed a registration statement with the U.S. Securities and Exchange Commission (SEC) that would be the first step toward a proposed initial public offering (IPO). Based in San Mateo, Calif., Sonim Technologies has applied to have the company’s stock traded on the Nasdaq Stock Market under the symbol “SONM,” according to a press release. The number of shares to be offered and their price range have not been determined. While many public-safety officials welcomed the notion of FirstNet as an LTE network for first responders, many expressed concern about consumer-focused LTE devices, noting that they were not rugged enough for public-safety use and lacked features such as a dedicated push-to-talk (PTT) button. Sonim Technologies was among the first handset manufacturers to deliver products with these and other key public-safety-centric characteristics, and the company’s rugged LTE phones were used in the vast majority of tests, pilots and early-builder deployment of public-safety LTE in the U.S. In the year ending on Dec. 31, 2018, Sonim Technologies sold about 311,000 devices and generated $1.277 million in profit, according to the company’s Form S-1 filing with the SEC on $135.7 million of revenue—a 130% increase in revenue in comparison to 2017, when the Sonim lost $8.519 million. This growth was fueled largely by Sonim’s release of the XP8 smartphone and XP5 feature phone, which were key components of a business agreement with AT&T, the contractor for the FirstNet system, according to the SEC filing. 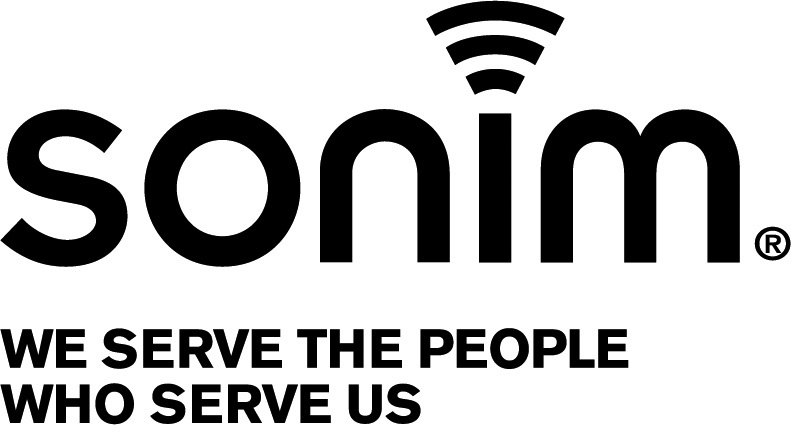 “The establishment of a nationwide public-safety broadband network, or FirstNet, in 2017 and other public-safety-focused mobile network has created a significant opportunity for us to be the leading mobile-solution provider for public-sector task workers,” Sonim states in its S-1 filing. In addition to its rugged LTE handsets that are designed to meet public-safety requirements, Sonim Technologies also is developing solutions to tackle some of the most challenging issues facing the first-responder communications market today—notably, helping them communicate when a terrestrial LTE system is not available. Although the LTE standard includes Proximity Services (ProSe) functionality to support direct-mode communications between devices when a network is not available, the low power and internal antennas of most LTE devices means the effective range promises to be much less than a high-power LMR portable with an external antenna. With this in mind, Sonim Technologies has announced two different alternatives to address the direct-mode issue: a 900 MHz module that uses LoRa technology, and the Sonim LMR Enabled Detachable (SLED), an accessory that is designed to transform a Sonim LTE device into one that also can communicate as an LMR portable, when needed. In addition, Sonim Technologies also worked with LTE router manufacturer Cradlepoint and satellite provider Inmarsat to develop Rapid Deployment Kits (RDK) that are designed to let first responders carry a deployable LTE network with them in areas where there is no traditional LTE network coverage. While many of Sonim Technologies’ innovations have been designed to meet public-safety needs, the company’s S-1 filing notes that these same feature sets also are valued in other critical-communications sectors, including utilities, transportation, construction, manufacturing and public-sector enterprises. Where Sonim Technologies perceives the push-to-talk-over cellular (PoC) market as a significant opportunity, the company has received little serious competition from traditional LMR vendors, according to the Sonim filing with the FCC. “We believe that, in the LTE market, traditional LMR providers have not historically entered, primarily to avoid harming their significant LMR business,” the Sonim filing states. “For example, certain major LMR providers have historically achieved over $3.0 billion in annual revenues from device sales. Further, these LMR providers typically do not have stocked products with major U.S. and Canadian wireless carriers and achieving stocked product status with the wireless carriers is associated with substantial costa and technical know-how regarding carrier certification requirements. Other insights in the Sonim Technologies’ S-1 filing included the fact that the company’s board of directors now includes former FirstNet Authority board Chairwoman Sue Swenson and former FirstNet Authority board Vice Chairman Jeff Johnson. This is the second stint on the Sonim board for Johnson, who resigned last April amid questions that his work with Sonim could represent a conflict of interest with his role in the FirstNet Authority. Both Swenson and Johnson recently joined the Sonim Technologies board last month, when John Kneuer—the former National Telecommunications and Information Administration (NTIA) administrator—also was appointed to the Sonim board of directors. In the “risk factors” section of the S-1 filing, Sonim Technologies states that the company has an accumulated deficit of $143.5 million as of the end of 2018. In addition, the document notes that Sonim could be impacted negatively, if U.S. trade negotiations with China deteriorate or expensive tariffs on key components are established.